The Outer Banks has a rich history that dates back to the earliest settlers from Europe and even further back to Native American tribes that once called the area home. The site of historic events and fascinating mysteries above and below the waves, this area has a lot to offer beach buffs and history buffs alike. 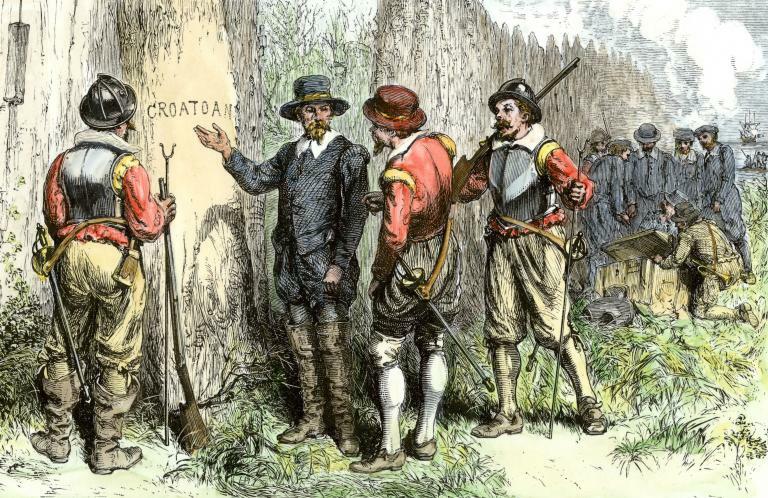 In July of 1857, the first permanent European settlement was established on Roanoke Island. The 117 settlers who arrived to establish a new home would have been a part of history with or without the mystery that followed. Within the three year absence in between John White’s departure to obtain supplies and his return, the entire colony disappeared, leaving only overgrown buildings. The Lost Colony has become one of America’s longest-standing mysteries and an integral part of the history of the Outer Banks. The spot also marks the birthplace of the first British child born on American soil. On December 17th, 1903, the world changed on the sands of the Outer Banks when Orville Wright completed the first flight –a span of only 12 seconds that would leave a mark on history. That day, he and his brother would complete four flights, launching the world into the age of air travel. Today, the Outer Banks is home to a museum dedicated to the Wright Brothers and their dream of flight. The treacherous waters of the Outer Banks hold hundreds of years of secrets on the ocean floor. The area known as the Graveyard of the Atlantic is the final resting place of more than 3000 ships. These wrecks go as far back as the 1500s, telling the tale of the dangers of colonizing America. Others feature wrecks from the Civil War and both World Wars, including German U-boats. Today’s visitors can see some of the wrecks through snorkeling and diving expeditions, and some can even be seen from the shore. A museum in Hatteras brings the tale of these wrecks above the waves for visitors to explore. The Pirates of the Caribbean meet their match in the storied swashbucklers that once roamed the Outer Banks. The importance of ports along this stretch of shore made it a prime target for pirates through the 1600s and 1700s, some of them among the most famous in history. A pirate by the name of Edward Teach – better known as Blackbeard – once called this area his home, and the waters near Ocracoke Island were his favorite hideout. It was here where Blackbeard met his end in a fierce battle in November of 1718. In addition to Blackbeard, the Outer Banks were once home to many other pirates, including some of the most famous female pirates in history, including Anne Bonney and Mary Reed. The Outer Banks has played a role in some of America’s biggest wars. It became the site of some of the first battles of the Civil War and some of the first victories for the North. In both World War I and II, this area was a vital part of the war effort due to its location. During both wars, German boats approached the U.S. coast in this area, but it was during WWII that the most damage was done. Both American and German boats were lost, and there are many such wrecks in the Graveyard of the Atlantic. From the birth of a nation to its defense, to some of its proudest and saddest moments, The Outer Banks has seen it all. The history of this area is the story of a nation, and this tale is kept alive today through museums, historical sites, and even the theater. The Outer Banks’ performance of the story of the Lost Colony is in fact the nation’s longest symphonic drama, performed every summer. The beauty of this area barely scratches the surface of everything it has to offer, and there is much more to learn and explore in The Outer Banks. < How To Make A Small Bathroom Seem Bigger.